Following its sun-soaked eighth edition that saw thousands of revelers unite on Croatia’s Zrce Beach, Hideout Festival returns for its ninth jam-packed year with a serious selection of artists on board. Bringing an unbeatable line-up to the Adriatic Coast, there’s royalty from the electronic world and beyond with Bicep, Jamie Jones, Mall Grab, Hannah Wants, Sam Divine, Sonny Fodera, Solardo, Fisher and plenty more soundtracking the affair. Between 1st July - 5th July, the five-day festival will take place on the idyllic Zrce Beach complete with five venues, open air pool parties, main stage sets, an exclusive beach party, boat parties and more! Limited tickets are available to registered fans from November 6th, with general tickets available to the public on November 8th. Packages will also be on sale, with accommodation and ticket bundles from just £275. Don’t miss out, now is the time to secure your place at this Croatian favourite before tickets and the best packages sell out. 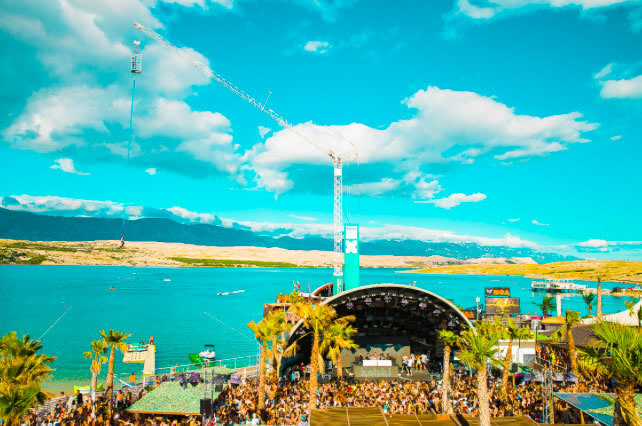 Year-on-year Hideout Festival sees thousands flocking to the Adriatic shores in search of a fun-fuelled break soundtracked by the best in house, techno, disco, grime, DnB, garage and beyond, with 2019 set to take things to the next level. Proud to announce a hefty bill of headliners, there’s big room bangers from Belfast dream team and unstoppable duo BICEP. Hot Creations and Paradise boss Jamie Jones returns to Zrce Beach, bringing melodic techno and deep house cuts while you can expect feel-good, uplifting classic house and tech grooves from Hideout favourite, MK. Plus, don’t miss an incredible show from chart-smashing drum’n'bass collective Rudimental.